Oklahoma goes like a shot. The franchise beat a direct rival like Portland in the early morning and are just one second-place win in the West that the Denver Nuggets now occupy. 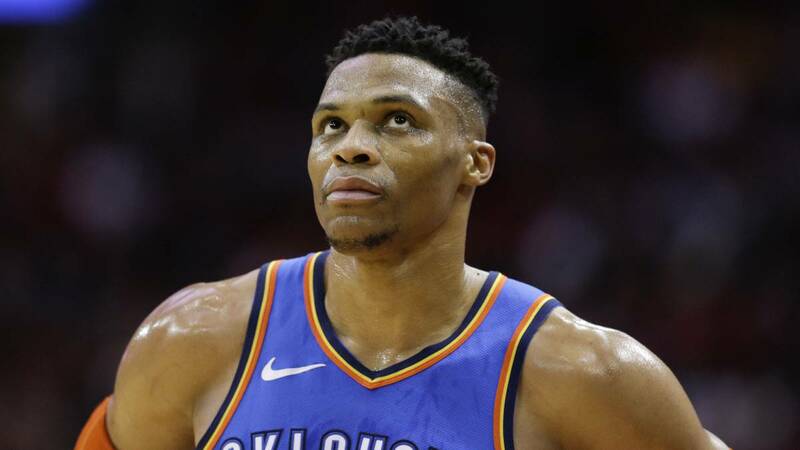 The game was historic for the franchise, as it was the tenth triple-double consecutive by Russell Westbrook on what has been the best streak in the history of the NBA. In addition, Paul George also got a triple-double, making two players at once a triple double in a single match and being the first time two players do this with more than 20 points in the same match. D George's level He's talking a lot this season. The forward finally decided to stay in the Thunder and not go to the Lakers (as many thought he would), and it seems he has made the right decision. While the NBA sees the Angels move away from the playoffs, George is reaching the best level of his career (28.7 + 8 + 4.1 + 2.3) and in the last 12 games has averaged 36 points per game. The forward is for many one of the candidates to win the MVP of the season, a prize for which many players are buying this year. But, it seems that it is not talking much, or at least as much as in other seasons, it is Russell Westbrook. And this does not seem to be going bad either to the base or to the franchise, which seems to be hitting the key. What Westbrook is 'married' to the triple-double is no secret. The player already made Kevin Durant partner, but exploded this facet in 2016/17, when the forward came out of the set that trained Billy Donovan. That season elevated the American to the Olympus of the League and gave the MVP being the first player since Oscar Robhertson that averaged a triple-double in a single season and managing to overcome the triple-doubles made in a single season (42) in addition to being top scorer of the same. However, this did not allow the 'City of Thunder' squad to go far in the playoffs, where they lost to the Houston Rockets in the first round by 4-1.
. Last season the story was similar. The arrivals of Paul George and Carmelo Anthony did not prevent the base from returning to get a triple-double, thanks to the 20 rebounds he captured in the last game of the season (he needed 16 to reach the average). Despite this, a new loss in the first round, this time against the Jazz and with field advantage included, put in doubt the system of Donovan, in which the base had a long time the ball in the hands. In the first season it was understood that the base was the only leader of a more limited team after the loss of Durant, but last year, with Anthony, and especially with George in the team, he questioned a way of playing that was trying to the base will reach its averages and get the victory at the same time, something complicated. The crisis was solved with the departure of Carmelo from the team and the renewal of George. The permanence of the wing gave a new opportunity to his alliance with Westbrook and a new attempt to build a winning team. What has happened to Westbrook the last two seasons, especially the first, should not surprise anyone . Traditionally, the best players in the league have not seen their best individual years coincide with the achievement of rings. Michael Jordan reached his basketball zenith at the end of the 80s, but it was in the 90s that despite not producing so much, he involved his teammates and won championships. The same thing happened with Bryant. In fact, Kobe himself has already warned Harden that the way he is playing this year (more than 36 points per game) is not ideal to win the ring. The surprising thing about Westbrook is that he is getting the team competitive and involve his teammates while he continues to average triple-double. Donovan has managed to adapt George to the base system and vice versa and is working for the moment. While the forward has the highest averages of his career, Russell is rebounding more than ever (11'1 per game), attending more than ever (11'2, leader of the NBA), and defending better (2'2 steal, only Behind George in this section) . In addition, and although he has been criticized for his percentages, 'Russ' is making two fewer shots per game than last year and almost 5 if we compare it with what he shot two years ago, what that makes him score less (21'2), but that his teammates score more. And although he loses 4'6 balls per game, he alsoimproved in this section with respect to the last two seasons. All this, together with a softer character that seems to have left behind the accumulated rancor toward Durant, is allowing his teammates to be more involved. And not only George. Steven Adams is at almost 15 points per game, the maximum of his career. The same goes for Jeremy Grant. And the base is doing this without getting out of the triple-double and staying one more year among the All-Star teams. The thing does not end there. For the first time, the triple-doubles of the base are synonymous with victories for their team , something that did not always happen before. Of the 23 games in which he has added more than 10 points, rebounds and assists at the same time, the Thunder have taken the victory in 17 and in the streak of 10 consecutive, the team has won all but one. As if that were not enough, each time there are more meetings in which triple-doubles with +/- positive (in 8 of the last 10), a statistic that was thrown in his face in recent years. At the moment Oklahoma sum and follows and it remains to be seen at what level they will arrive when Andre Robertson returns to the rotation. With George on a sidereal level, Adams helping more than ever and Donovan's upline, it would not be surprising if the team would soon reach Denver and start looking at the Warriors face in a year where continue to this level it would be rare for them to stay in the first round of Playoffs. And meanwhile, Westbrook continues to make history and beats Wilt Chamberlain. Almost nothing for a player who still lacks the ring.